The Nigeria Prize for Literature 2018 is looking for entries for this year’s edition in drama. The organisers have also included a new category for literary criticism. Nigeria LNG Limited who run the prize have made a call out for this year’s entries of the prize and the category shall be in Drama. The competition is open to Nigerian writers irrespective of their place of residence and having being published after January 2014. The Nigeria Prize for Literature is the richest prize in African literature worth US$100,000 to the winner. The prize which was founded in 2004 to honor literary erudition by Nigerian authors rotates among four genres fiction, poetry, drama and children’s literature, repeating the cycle every four years. The winners over the last few years have been Ikeogu Oke for poetry (2017), Abubakar Adam Ibrahim for prose (2016), Sam Ukala for drama (2014), Tade Ipadeola for poetry (2013), and Chika Unigwe for prose (2012). The judges who will be looking through the entries are Prof Matthew Umukoro who will be the chair assisted by Prof Mohammed Inuwa Buratai and Dr Mrs Ngozi Udengwu. The advisory board for the prize are Prof Emeritus Ayo Banjo the chair assisted by Prof Jerry Agada and Prof Emeritus Ben Elugbe. This year, the prize has upped the ante as it seeks entries for literary criticism as well. As the aim is to promote Nigerian literature all over the world, this prize is open to all critics wherever they may come from. Contestants will send in three critical essays published in majorly scholarly journals with a track record of dedication to excellence and an international circulation. The winner of this prize will go home with 1,000,000 Naira. Just like with the drama prize, all entries must be made by March 29, 2018. No book previously submitted for this competition may be re-submitted at a later date even if major revisions have been made or a new edition has been published. Winners will be announced in October and will be presented to the public on a later date. Ten copies of the entries and if available, an e-copy together with evidence of Nigerian citizenship (photocopy of Nigerian passport or I.D card) may be submitted either by authors or publishers in accordance with the genres in competition. 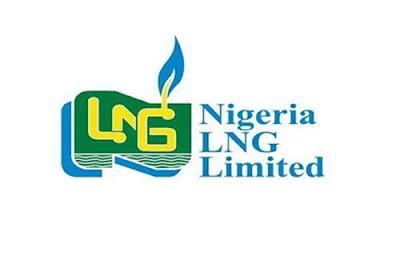 Books should be submitted to Nigeria LNG’s External Relations Division, promoters of the prize, by the stipulated deadline. Complete contact information, including full contact address, phone number(s), email(s), and other relevant contact information will accompany every submission.